This is not a recipe book. This is a guide for anyone recently beginning a gluten-free diet who needs a simple explanation of the basics to get started. Included in this discussion are how to read labels, how to find gluten-free cookbooks, how to shop for gluten-free foods economically, how to find deals on gluten-free flour, and how to eat out at a restaurant safely. Before investing in a lot of ‘how to’ books, this is a good basic book to clarify the confusion about eating right and staying within your budget. Here you’ll find more than 85 kid-friendly gluten-free recipes that are nutritious, delicious, and sure to please any kid. You know that a child with celiac disease must avoid certain foods, and you know how overwhelming that task can seem at first. With the help of this book, even your most finicky eater will be satisfied, and you’ll be assured that your child gets the nutrition he or she needs. This cookbook guides you along the planning, shopping, and cooking so all you have to do is get the food on the table! Living in a gluten-free home isn’t easy, especially for a teen. This book’s author specializes in helping families develop a strategy to feed the entire family, including the teens in the family with celiac disease. In this guide you’ll find advice for setting up a gluten-free kitchen, along with a checklist and tips on how the whole family can switch to gluten-free eating, and love the food! You’ll also get support to help your teen discuss how they feel about growing up with celiac disease, and how to avoid being uncomfortable in groups by being singled out as the “celiac kid.” Celiac disease has not only dietary restrictions, but can trigger emotional responses, as well. This book helps the parent and teen discuss all these aspects of the gluten-free lifestyle. You’ll also find more than 100 recipes and tips for favorite teen-approved gluten-free foods, switching favorite recipes to gluten-free, and ideas for packing lunches and snacks. In this book, the author shows us that there is a way to learn the essentials that make living with a diagnosis of Celiac disease or gluten sensitivity simpler. The author teaches you how to take the fear out celiac disease and get your health back while enjoying food that is truly delicious, and not just gluten-free. The recipes in this book range from a variety of Southern comfort food to everyday healthy foods, and even desserts. The purpose of this book is to make living gluten-free easier, less stressful, and tastier. In the great tradition of the “Dummies” books, this is a practical guide to managing a gluten-free diet. The author explains the medical problems associated with gluten and gives you step-by-step instructions on how to make the transition to a gluten-free lifestyle without sacrificing all those tasty foods. You’ll get 65 updated recipes along with tips for eating out at restaurants. You’ll also get information on how to shop, read food labels, and understand the nature of the gluten-free diagnosis. This book covers the practical, medical, and emotional aspects of the gluten-free lifestyle. In this book you’ll find 100 gluten-free recipes including pizza, cookies, and cakes. Whether you have been diagnosed with celiac disease or are avoiding gluten because you feel better without it, this cookbook gives you the information you need to start cooking gluten-free. 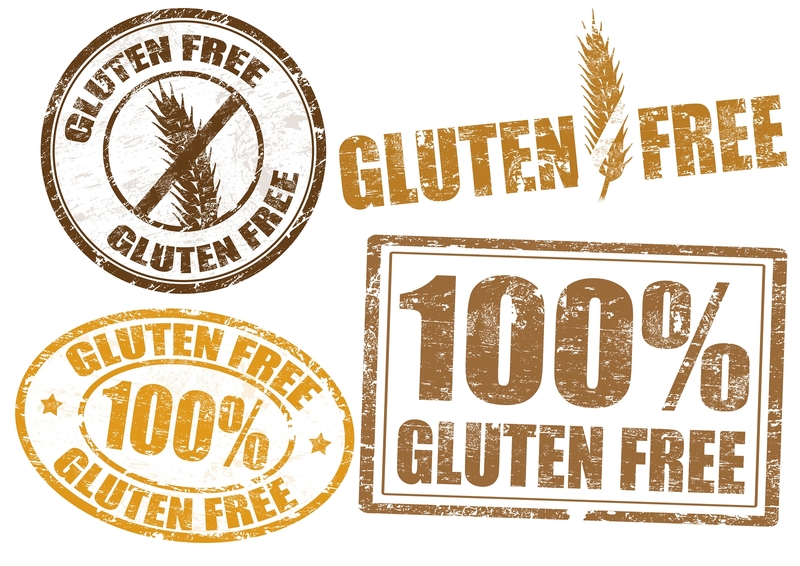 You’ll also get information to help you understand gluten and how it affects the body. You’ll also learn how to read food labels, how to stock your kitchen, and how to handle some of the trickier cooking methods using gluten-free food products. This guide begins by informing you of the more than 300 signs and symptoms associated with celiac disease to help you understand the differences between celiac disease, intolerance, and allergies. In this book you will learn what gluten is, where gluten is found, and how to avoid gluten, as well as how to make healthy food choices while grocery shopping and preparing foods at home. You will also find easy to follow recipes that will help you move into your gluten-free life without wondering where to start and what to cook.